The training of character is a task that begins with family and extends all the way to government. As such, state projects such as the National Day of Service and Remembrance can be viewed as more than an attempt at remembrance, but an education. It demonstrates the importance of a specific piece of knowledge that we should all learn and carry with us. Service, by itself, is not a new concept. There are many forms of service – military, charitable, religious, etc. In fact, Merriam-Webster lists eleven main definitions for the word 'service'. Some of these definitions are then further broken down into sub-definitions. Today, our National Day of Service and Remembrance, is an appropriate time to reflect upon the meaning of service itself. Community service has long been in use, but the new holiday combines service with remembrance. A view of the term 'service' in light of the holiday demonstrates the way in which historical events alter the definition and usage of a single word. By creating a national day devoted to service, we have created a material change of a theoretical concept, thus elevating one definition and creating an alternate understanding and/or meaning. In essence, this is the way that language functions. Contemporary society accepts the new idea, embraces it, repeats it and adds the additional meaning into their pre-existing lexicon. The National Day of Service and Remembrance was created as a dedication to the many brave workers who assisted in the aftermath of the September 11, 2001 terrorist attacks. All branches of service were united in this effort, as is often the case in a disaster. Therefore, military works with local politicians as well as larger relief agencies like The Red Cross. Again, while the combination of forces is not a new concept, the new day of service that asks citizens to serve does affect change. People commonly feel that everything is always changing. In fact, it is difficult to pinpoint an exact moment of transfer. Clocks assist us in creating a daily schedule, but it is much more difficult to explain the state of something. For example, when does water become ice or vapor? At what point do we know that a leaf has changed from green to red? Or, more to the point, when have we achieved a society of educated citizens? As Mortimer Adler claims in his chapter regarding 'Change' in the Syntopicon, “[T]hat which changes persists throughout the change as the same kind of substance.” As applied to society, there is an ever-present and understood foundation which is constantly challenged by natural changes. In other words, education is always necessary to society's survival, but what factors compose that education may change over time. The idea of service in society stretches throughout time. In The Republic, Aristotle even allows that “In the constitutional state, the citizens rule and are ruled by turns for the idea of a constitutional state implies that the natures of all citizens are equal and do not differ at all.” The empowered citizen, then, designs systems which educate and instruct society in a way that they too deem important. The dedication of a day of service has immortalized a specific brand of service through the heroic deeds of servicemen and women. And this is when the change feels subtle, but it actually is not. Language is what allows us to access – among other things – society. 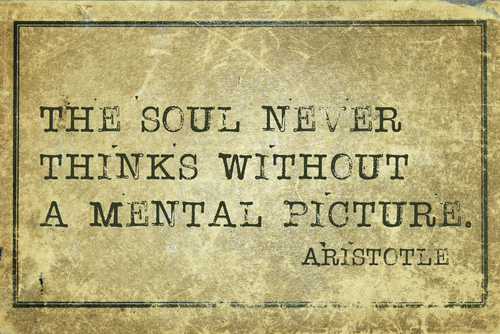 Both Plato and Aristotle spend much time in an attempt to create understanding of a single term. Furthermore, many scientific and philosophical treatises begin with definitions. Changes of the meaning of a word often signifies societal change. Those men and women in the military are often referred to as servicemen and servicewomen. They perform dangerous and necessary duties for society's survival. Often, their service includes training and knowledge about complex systems. Asking citizens to serve implies that monetary exchange and classroom training is not enough. There is an element of witness incorporated into this idea of service. Have we forgotten what it means to serve? Have recent disasters demanded too much of societies? Or is the need for service permanent, just changing in the context of location and time? Perhaps this type of service best demonstrates the power of an individual or the best definition of citizen. Maybe we are still learning about tolerance. Whatever the case may be, the installation of a National Day of Service and Remembrance affects and colors the way we understand service in general. When using the term 'service', we will invariably and subconsciously call to mind those heroes who served our country. Both the word and the country are stronger for it.